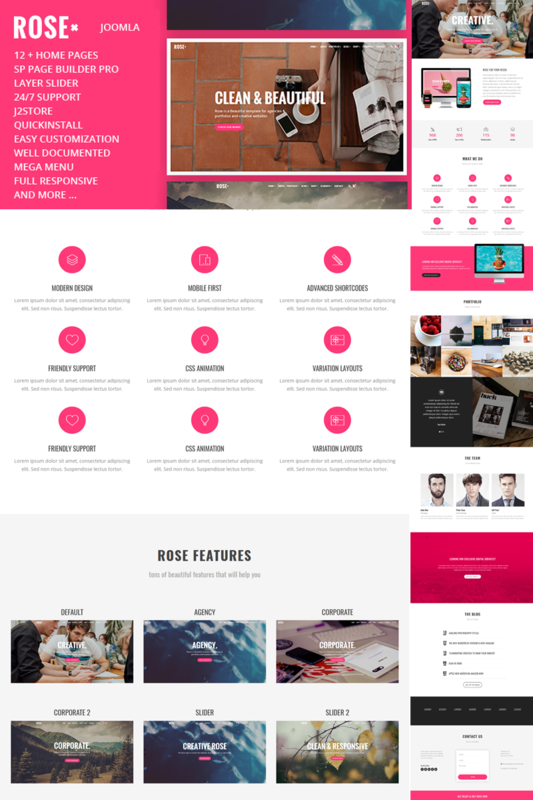 ROSE is a Unique Modern, Responsive multi-purpose Multipurpose Bootstrap based Joomla theme. You can use it to build any kind of websites Creative, Business, Photography, Agency… Also it can be used as a landing page, it's easily customizable and flexible for all your needs. It's fully Responsive, Retina ready, with beautiful css3 animations and transitions, and it comes with tons of helpful features.